Tasmania is an explorers’ paradise with nearly 37% of the island designated as reserves, National Parks, and World Heritage Sites, and with a total coastline length 4,882kms many of Tasmania’s top spots are to be found nestled on the coastline and best (or only!) accessed by boat. 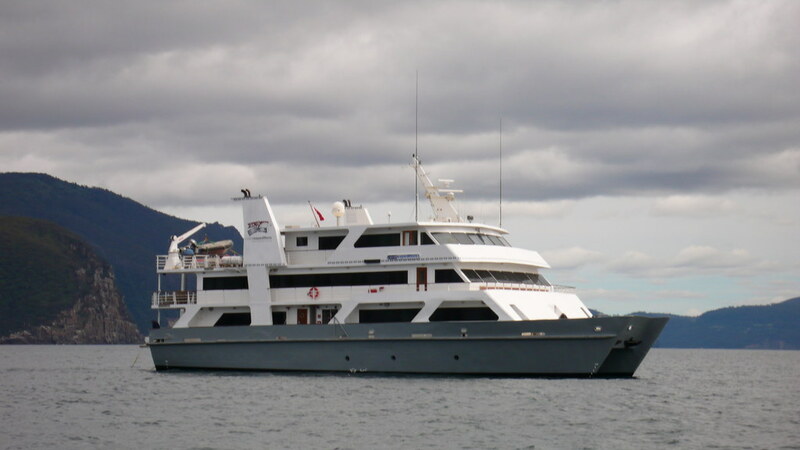 There is no better way than to explore the Tassie coastline than on a small, nifty and comfortable cruise ship, like the Coral Expeditions 1, complete with an excursion vessel. This allows you to dart in and explore magical coves when no one is around, take in the many panoramic rock formations, get up close and personal with marine life and get unique vantage points at iconic locations. With Coral Expeditions you can also enjoy an Open Bridge policy so you can get a captain eye’s view of the island as well as on aboard Marine biologist to help you get to know the marine life better. Freycinet National Park, on the East Coast, is home to the iconic Wineglass Bay, which is a haven of white sand, turquoise waters and dramatic bushland. Wineglass Bay is accessible by foot but arriving by boat means you skip the parking circus, often busy trails and see this stunning location from a different vista. You can also get this paradise to yourself as the Coral Expeditions 1 will arrive at the bay when no one else is around. You will also be given an opportunity to do a morning hike up to the lookout and take some ‘people free’ snaps. Maria Island on the South East coast, offers historic ruins, sweeping bays, rugged cliffs and mountains and incredible wildlife. It is only accessed by boat but instead of taking the ferry and exploring the island by foot, take in the full effect of the dramatic coastline, stop off at the more remote bays and enjoy a unique panorama of the famed fossil cliffs on-board your cruise ship. 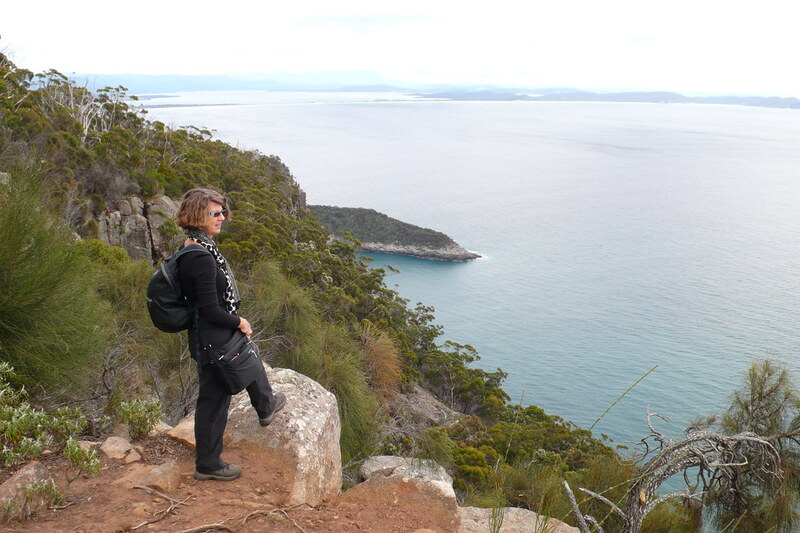 The Coral Expeditions 1 will also take you to shore on so can walk the convict trail and spot the elusive Tasmania devil. You won’t be restricted by ferry times so can enjoy the island at your own pace. 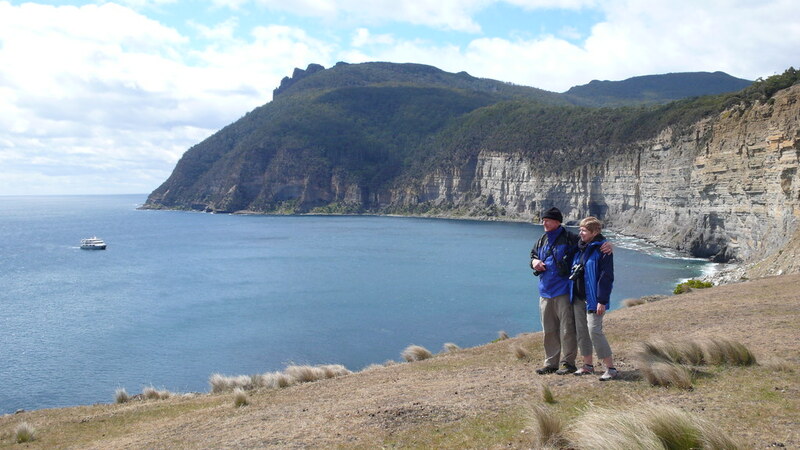 Bruny Island, the land of cheese and oysters, is situated to the south of Hobart and is only accessible by boat. Bruny Island is blessed with marine life and is home to a large population of Australian fur seals which are best viewed from the ocean in a ‘who’s watching who’ scenario. A trip to Bruny island is not complete without some food and wine but with Coral Expeditions you can work it off with a swim and kayak in Adventure Bay before you cruise back to the sip, where you will be treated to a Tasmania sunset as you anchor for the night. Tasman National Park, off the East Coast and adjacent to Port Arthur, is known for its monumental rock formations and rugged cliffs which are best seen by boat, where the crashing waves and abundant sea life add an extra dimension to your experience. The park is teeming with marine life which include penguins, dolphins, migrating whales and seals which you can track and learn about with the Coral Expeditions resident marine biologist. The ship will give you the ability to follow these magnificent animals wherever they go so you can be assured of some incredible sightings. Recherche Bay is located on the extreme south-eastern corner of Tasmania and has gained notoriety in recent years as the first meeting place between Bruni D’Entrecasteaux and the original habitants – the Lylequonny. What better way to reach Recherche Bay than by the same way Bruni did, following in his footsteps right until you set foot on the beach at Cockle Creek. Cruising this coastline on the Coral Expeditions 1 also means you get to enjoy the many inlets, islands and natural beauty of this picturesque section of the South Coast. The wilderness surrounding Port Davey is thought to be one of the most spectacular landscapes on the planet and is known to have the cleanest air on earth. It is only accessible by boat, plane or 7-day trek but this pristine tapestry of gorges, waterfalls, rivers and mountains is best explored by water. With wild weather to match, cruising on the Coral Expeditions 1 is the way to go so you can acclimatise to the temperamental conditions in comfort and jump on the excursion vessel to dart into little bays or take a sea kayak when the sun is on your side. Tucked away in the Tasman National Park and only accessible by foot or boat is Canoe Bay, home to the shipwreck of a Dutch Trading Vessel called Andre Reboncas. Cruising into the bay gives you the chance to see the shipwreck up close and means you can nip over to the nearby picturesque Canoe Bay. You will also be able to enjoy panoramic views of Waterfall Bay and the pods of dolphins that often populate this area. Cruising Tasmania is all about exploring a pristine and secluded wilderness but during the Sydney to Hobart race this isolated island becomes a haven of white sails as the yachts race to Hobart. However, if you’re on board a cruise ship such as the Coral Expeditions 1, this man made phenomenon is a sight to behold and lends itself best to aquatic arm chair viewing.